California health officials are warning about a noticeable spike in the number of flu cases in the state. Dr. Olivia Kasirye with the Sacramento County Division of Public Health says it’s not just the usual people getting the flu—hospitals in the area are reporting healthy people are also getting the virus. The department suspects it might be because of H1N1. “We are thinking that that might be it, because when we first got the H1N1 in 2009, that’s when we first saw otherwise healthy people coming down with severe flu,” she said. The CBS Sacramento report came in late December of 2013. Unfortunately, the present situation is not much brighter. 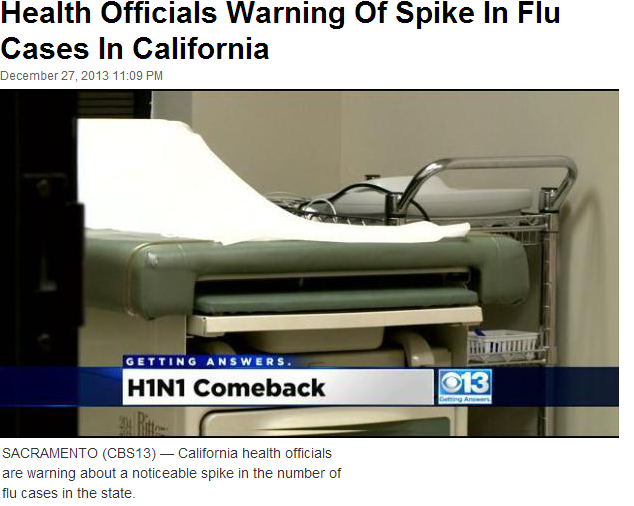 More and more California residents have visited Cupertino urgent care centers and have been diagnosed with the flu. It has gotten so bad that the Centers for Disease Control and Prevention has labeled the flu in California as “widespread”. The flu per se is generally considered as a major inconvenience. However, the flu can cause serious complications like pneumonia to develop in those infected. These complications, sadly, can lead to death. Recent studies have shown that the most common influenza strain circulating is the H1N1 virus, a.k.a swine flu. Fortunately, those who received the flu vaccine from a trusted urgent care in Cupertino need not fear swine flu as the 2013-2014 flu vaccine protects against the H1N1 strain. It is not too late for those who have yet to be vaccinated to receive the shot. Many urgent care centers, like U.S. HealthWorks Medical Group, continue to offer the vaccine to those who wish to receive it.